Between the 23rd and 25th September, Slaney Foods International participated in the National Ploughing Championships on the Irish Hereford Breed Society Stand. 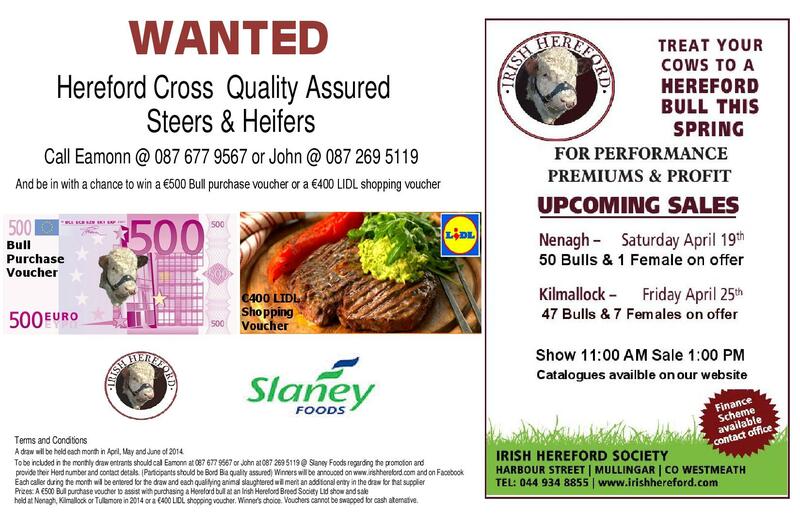 Centre stage on the Slaney display was the award winning Hereford Beef Selection which has proved to be a major success in Lidl Ireland and represents one of the successful partnerships now in place between Lidl and Irish farmers. 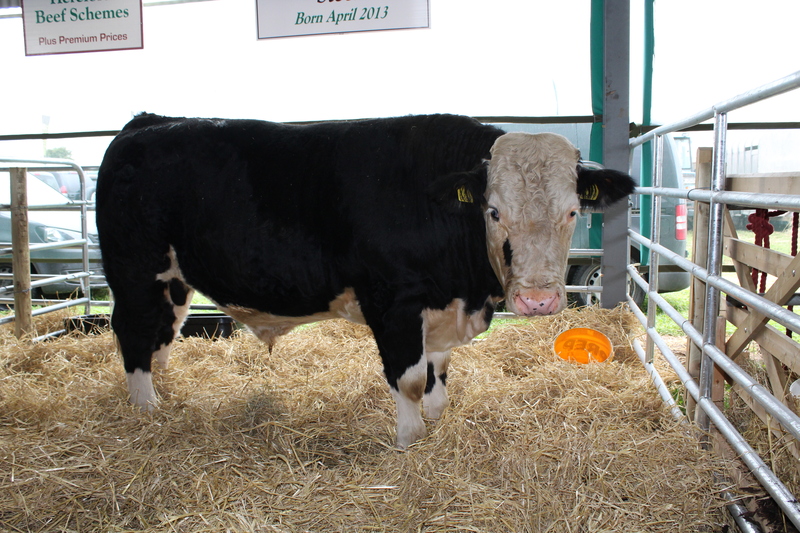 During this event, Slaney Foods held a competition where participants had to guess the Carcase Weight of a Hereford Steer Born in April 2013. The draw created a lot of interest among those who visited the Stand. 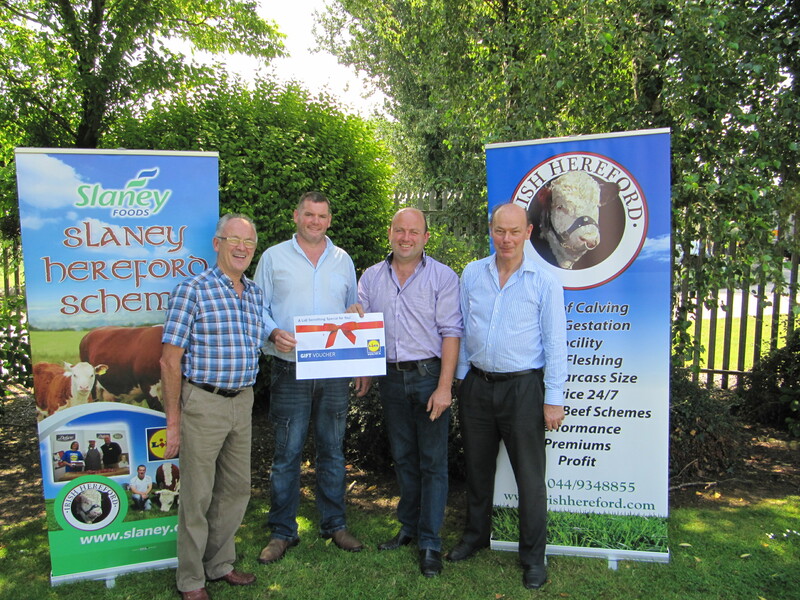 On Friday 26th September, the Carcase weight of the 17.5 month old Hereford sired steer bred by John Canty, Kildallkey, Trim and exhibited at the NPC was confirmed at Slaney Foods as 407 kgs. The 3 Lucky winners of this competition were Marie McGrath from Clashmore, Co. Waterford, Angela Armstrong from Navan, Co. Meath and Pat Lawlor from Ballymore-Eustace, Co. Kildare. 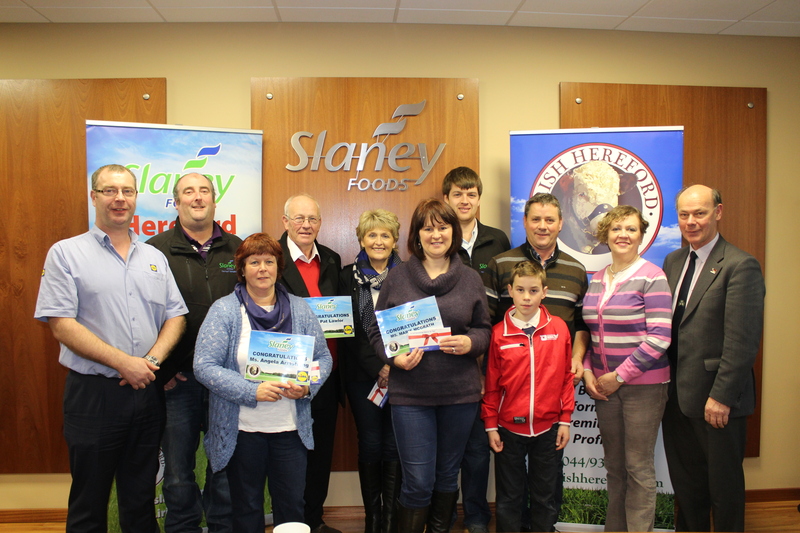 On the 15th October each winner was presented with a Lidl Voucher worth €500 at Slaney Foods in Bunclody, Co. Wexford. 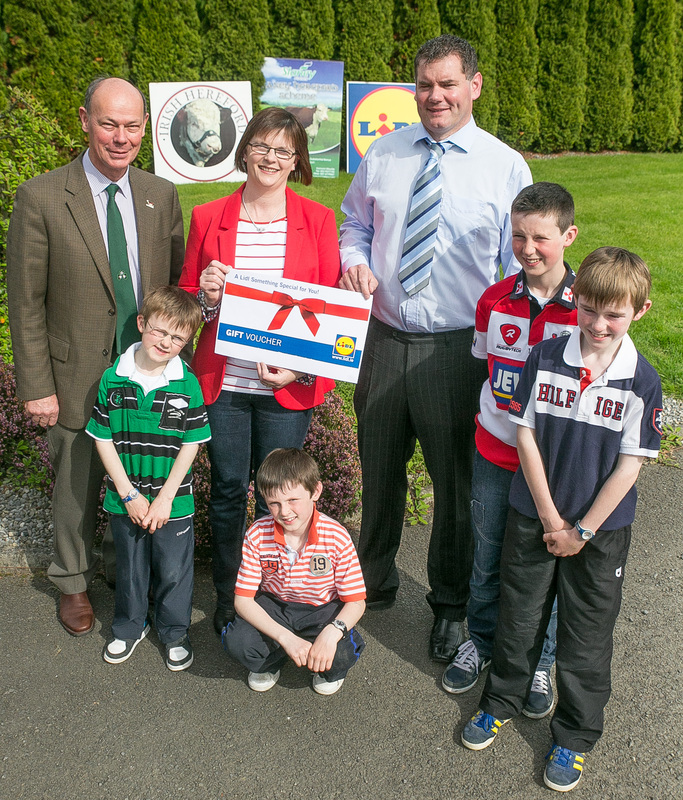 These vouchers were sponsored by The Irish Hereford Breed Society, Lidl and Slaney Foods International. A huge thank you to all who took part in this competition and congratulations once again to the 3 winners!